A pension calculator is a tool that estimates your projected retirement income based on factors like how much you’re saving and how many years you have left until retirement. With PensionBee’s pension calculator you can set a retirement goal and see if your saving seems to be on track. When you’re thinking about how much to pay into your pension it’s important to consider how much money you think you’ll need to live off during retirement. How much money have you saved into your pensions so far? How many years do you have until you hope to retire? Do you think you’ll need to increase or decrease your contributions in the future? How much do you expect your investments to grow between now and retirement? You can use our pension calculator to help you figure out how much you may need to save to get a comfortable retirement income. 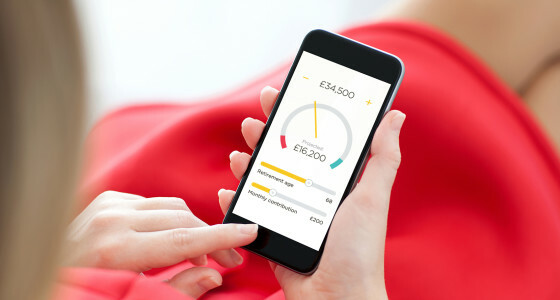 Plus, if you move your pensions to a PensionBee plan you’ll have your own online account area called the BeeHive, which includes a smart online pension calculator. This calculator will take into account the money you’ve saved into your pension so far and your level of contributions. You can use our calculators to see whether you’re on track to get the pension income you’re hoping for, or whether you may need to increase your contributions. The pension calculators can help you decide how much money to pay into your pension by showing the impact that upping your contributions could have on your retirement income. Our calculator makes several assumptions, for example that you’ll increase your level of contributions in subsequent years, and that your investments will grow at a certain rate. It’s important to understand that our calculators are just tools and they can only make estimates: remember that the value of your investments can go up as well as down, and there are lots of factors that could affect the value of your pension pot at retirement. Join PensionBee and get your very own pension calculator to help you take control of your pension saving.